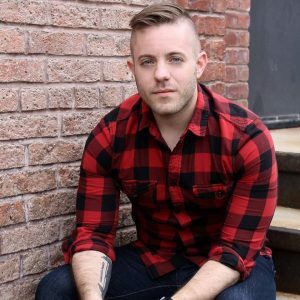 Ryan Sprague is an author, screenwriter, and playwright splitting homes between New York City and Los Angeles. He is also an investigative journalist specializing in the topic of UFOs. He’s interviewed witnesses in all walks of life about UFO sightings and possible encounters with extraterrestrials. He’s spoken exclusively with military and intelligence officials who have convinced him of a legitimate and authentic phenomenon involving highly advanced aerial threats to our skies. He is the author of Somewhere in the Skies: A Human Approach to an Alien Phenomenon, and is also a contributing writer to the anthology, UFOs: Reframing the Debate. He is the creator and host of the Somewhere in the Skies Podcast on the Entertainment One Podcast Network and co-host of Into the Fray Radio on KGRA. Speaking on the UFO topic, he has been featured on ABC News, Fox News, The Science Channel, and is a regular on The Travel Channel’s hit series, Mysteries at the Museum. He has spoken and lectured across North America about UFOs and other paranormal subjects, including at the 2017 East Coast Paraconference in Nova Scotia. For nearly seven decades, we have attempted to establish a viable approach to studying the UFO phenomenon. Yet, whether through the lens of science, philosophy, psychology, theology, or history, it can be argued that few concrete determinations about the true source and motivation of UFOs or their possible controllers, has emerged. Sprague theorizes that by observing trends present in case reports of the phenomena and assessing their implications, perhaps some solid data and even answers can be gleaned. Could the experience and aftermath of a UFO event actually shape the progression and evolution of the phenomena? This presentation will be a personal journey through the hearts and minds of witnesses and those who’ve recorded, investigated, and researched UFO accounts, guiding us towards an entirely human approach to what many consider alien phenomena.